You know, I am realizing I am such a lasagna kind of girl. Or really, I am just a cozy foods kind of girl. Even in the summer I somehow manage to make summer food cozy. It’s a gift I tell ya. But first, how was everyone’s Halloween weekend? Asher wore the Elsa dress I gave her for her birthday. For once it was a decent Halloween night here (last year there was a blizzard!). The town of Frisco closes off Main Street and all the little trick-or-treaters get to run down the mile long strip (well more like a half a mile, they don’t close off the entire street) from business to business begging for candy. My parents said it was a really nice night and surprisingly, not all that crowded. Since it’s Monday and the last three days have been a little dramatic around here, I am keeping things semi-short (I will tell you all about it in another post). 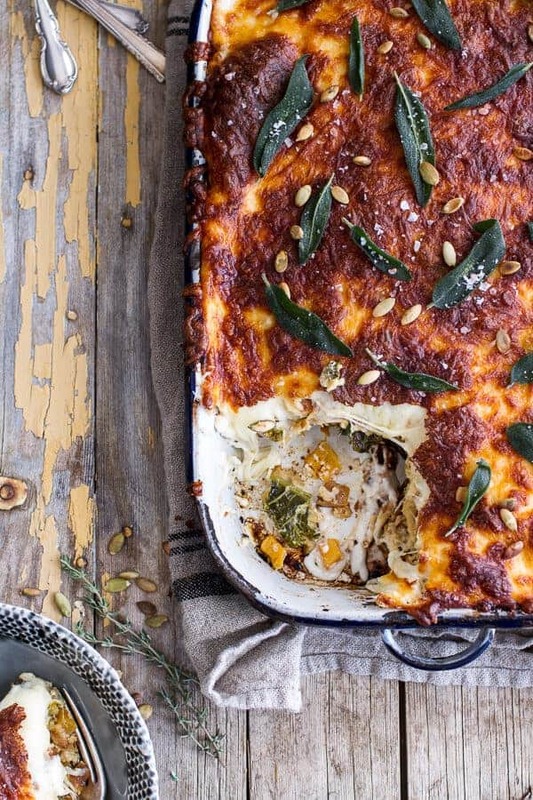 So let’s get on to this simple caramelized butternut squash and kale florentine lasagna. You see, when I talk about cheesy pasta and such my mind seems to forget all my worries. It’s the coziness of it all. I freaking love coziness like no other. Also, aren’t my big, medium, little and extra little butternut squashes so stinkin’ cute??? Blake (the kid who practically lives here) gave them to me. His mom grew them at her house in Aspen and she sent them with him for me. I was in love with them and actually kind of sad to cut into them. 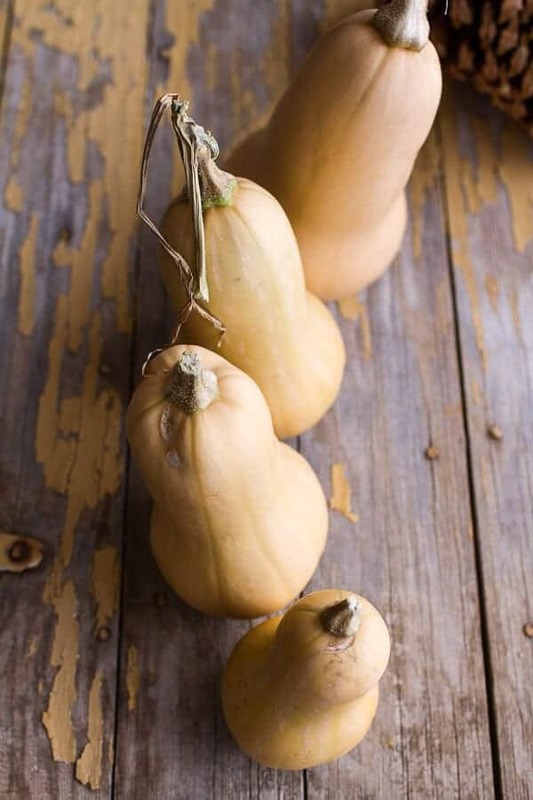 No more cute little family of butternut squashes. I think lasagne (did you know that is the plural form of lasagna? I sure didn’t – thank goodness I looked it up!) are the best. 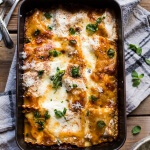 You can make them in advance, you can freeze them, they are perfect for company, they feed a crowd and lasagna is a dish where pretty much everyone says, “YUMMERS”. Ok, they might not say yummers, but they should. I like that word, it’s cute. Not to mention, you can almost always count on lasagne being good. Again, cheese and pasta… pretty hard to mess up a lasagna. Last year I showed you guys my very favorite Classic Lasagna. It’s my go to dish around the holidays and I honestly make it all the time. My family loves it, really everybody loves it. This year though, I wanted a lasagna that was heavy on the vegetables. I am such a huge fan of butternut squash and kale, but the combo together sounded perfect for a lasagna and that was that. I was making butternut kale lasagna and I was making it florentine style. Instead of spinach, I substituted Kale and of course, went heavy on the cheese. I actually made my homemade pasta and I made it using whole wheat flour, and you know what, it was awesome!! Seriously, no one even noticed the difference and the whole wheat pasta fits really well with the earthy flavors of the kale. I wanted this squash and kale florentine lasagna to be simple, so I am telling you guys that if you want to, you can use no-boil whole wheat lasagna (use DeLallo, it’s the best!). But if you can, make homemade lasagna noodles. It really does not take much time and the little extra effort is so worth it. The noodles melt in your mouth. Melt. In. Your. Mouth. I used the this recipe, but subbed all white whole wheat flour for the all-purpose flour. Worked like a charm. And the rest is simple. I caramelized a lot of butternut squash with a little garlic, nutmeg, sage and thyme. It’s such a good combo and I love the texture you get from caramelizing the squash. I think it is so good. Then I tossed in the kale to cook it down a little and that’s pretty much it. You just need to make your béchamel sauce and then layer everything together. Pretty simple and it’s great for entertaining because like I said you can prep everything in advance and then just bake before eating. See, now didn’t all that cheesy pasta talk cozy up your Monday? Preheat the oven to 400 degrees F. and grease a 9x13 inch baking dish - if baking the lasagna right away. Heat a large skillet over medium heat, add the olive oil. Add the butternut squash and sprinkle with brown sugar and season with salt and pepper. Cook over medium heat stirring frequently to avoid burning for 10 to 15 minutes or until the squash begins to caramelize all over. Add the garlic, nutmeg sage and thyme, cook 5 or so minutes more. Now remove the skillet from the heat and add the kale, cover and let sit for 10 minutes. The heat from the pan will cook the kale down. Meanwhile, make the béchamel sauce. Melt the butter over medium heat and allow the butter to brown lightly. 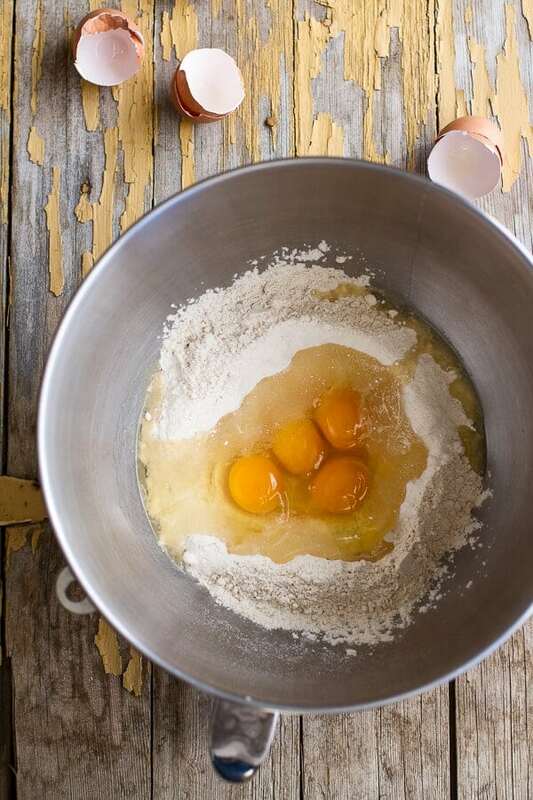 Once the butter begins to brown, add the flour and cook, whisking constantly, for 1 minute. Whisk in the warm milk in a steady stream. Add the a pinch of freshly grated nutmeg and simmer for 2 minutes, whisking. Remove from the heat, stir in the blue cheese (or mozzarella) and parmesan. Season with salt and pepper. Let cool, stirring occasionally to prevent a skin from forming. To assemble the lasagna, spoon a little béchamel onto the bottom of the prepared baking dish. Add a layer of lasagna noodles. Sprinkle about 1/3 of the butternut + kale mixture over the noodles. Now add 1/3 of the fontina cheese and drizzle with a little béchamel. Repeat the layering process until you have three to four layers. Once you get to the very top, spread any remaining béchamel over the noodles. Sprinkle with the last of the fontina cheese. Feel free to add more cheese if desired!! 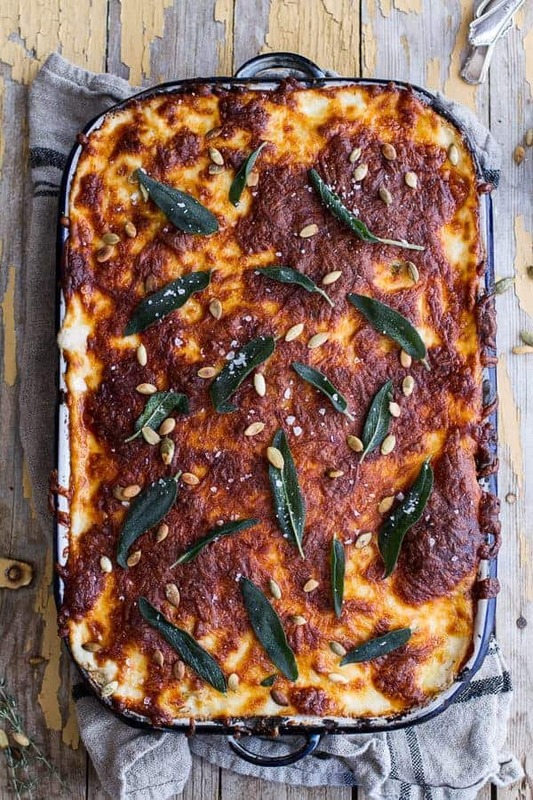 Top the lasagna with sage leaves. Spray a piece of tin foil with cooking spray and cover the the lasagna. At this point the lasagna can be placed in the fridge for up to 3 days or frozen. Bake, covered for 35-45 minutes and then uncovered for 15 minutes more. Let stand for 10 minutes before slicing. If your lasagna was cold prior to baking, bake covered for 15-30 minutes longer. How could it not? Just look at that. YUMMMERS. I love the butternut kale combo. Definitely yummers. Plus that little butternut is precious! I love using whole wheat and whole grain pastas. I did find some of the DeLallo pasta on sale at an Ingles store. Got to use it soon. Consider my Monday chick FULL o’ cozy. 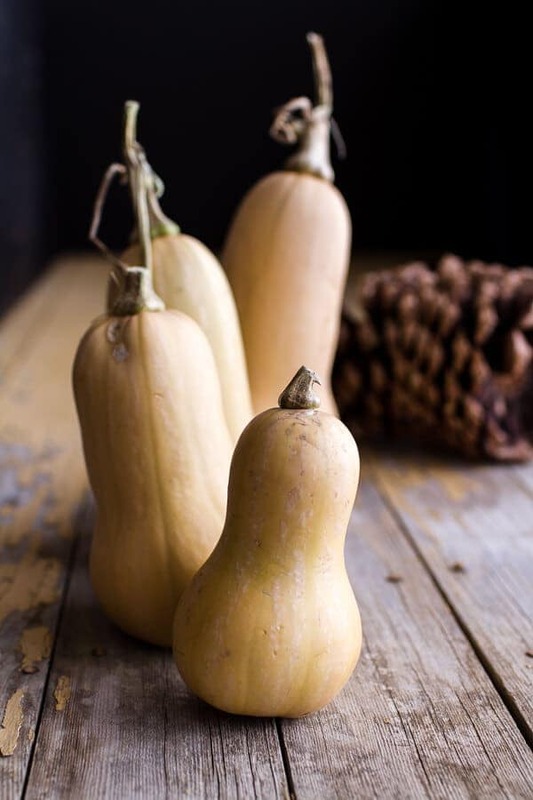 Butternut squash is kind of an obsession of mine ( and yes that little squash family is ALL the cute!) And this is whole wheat and has kale, so I am pretty sure it cancels out all cheese. In lurve with this in a major way. Pinned! Thank you so much, Taylor! I hope you had a great start to your week! OMG! I’m dying over here with this lasagna! I’ve been eating all the butternut squash up! 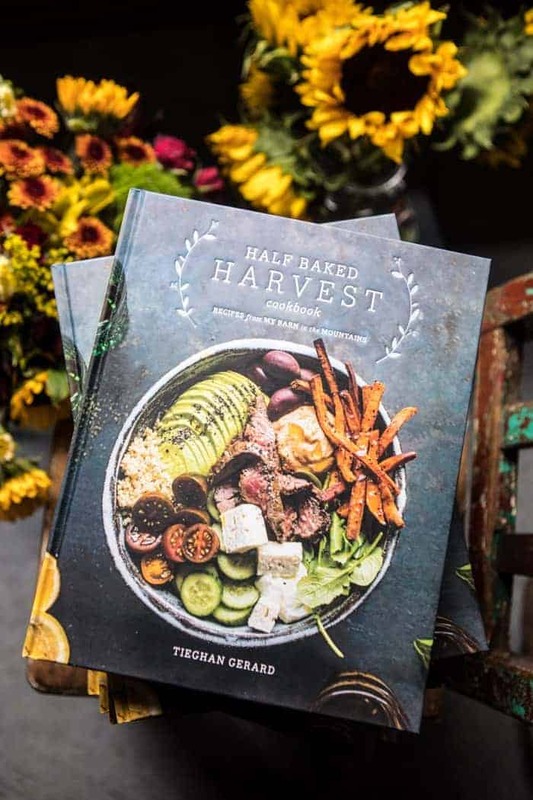 Wow Tieghan, this looks incredible! Getting more into the squashes this year. I have never made my own pasta, but you make it look so easy…I think I may have to give it a try. Pinning this recipe asap! Is there anything better than squash and kale? Amazing! 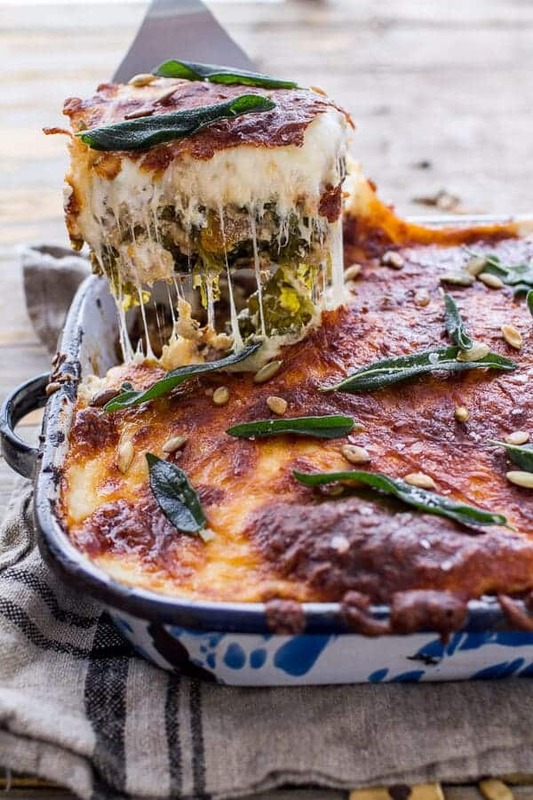 This lasagna looks incredible! I am loving that you made your own whole-wheat pasta, too! And yay for awesome moms who bring you produce!! Hi Tieghan, Did you boil the homemade noodles before assembling the lasagna or did you use them raw? Just add them raw, no boiling required. I haven’t yet heard of subbing kale for spinach in florentine style dishes – but looks delish, especially with the butternut! Thanks Jenn! The Kale adds great flavor! 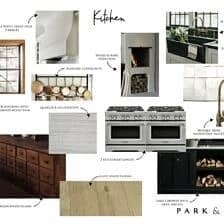 #drooling Want all of this!! 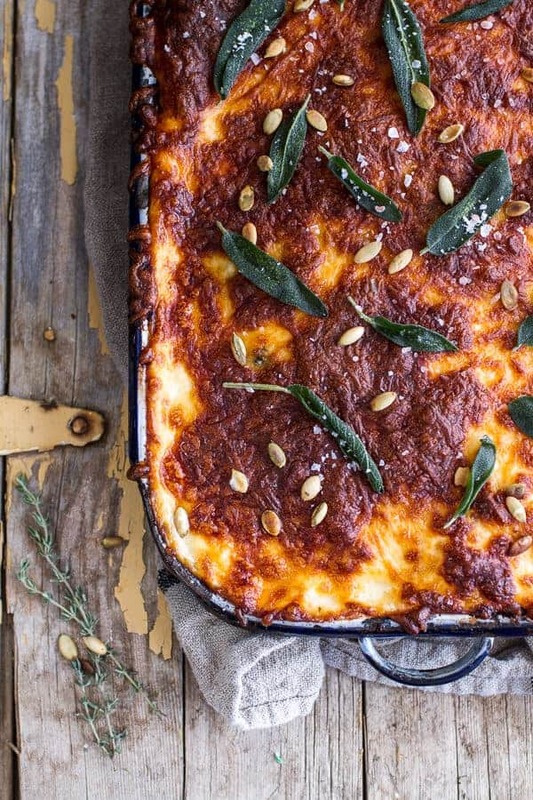 That is one gorgeous lasagna! You’re killin’ me here! Thank you so much, Rachel! Hope you had a great start to your week! 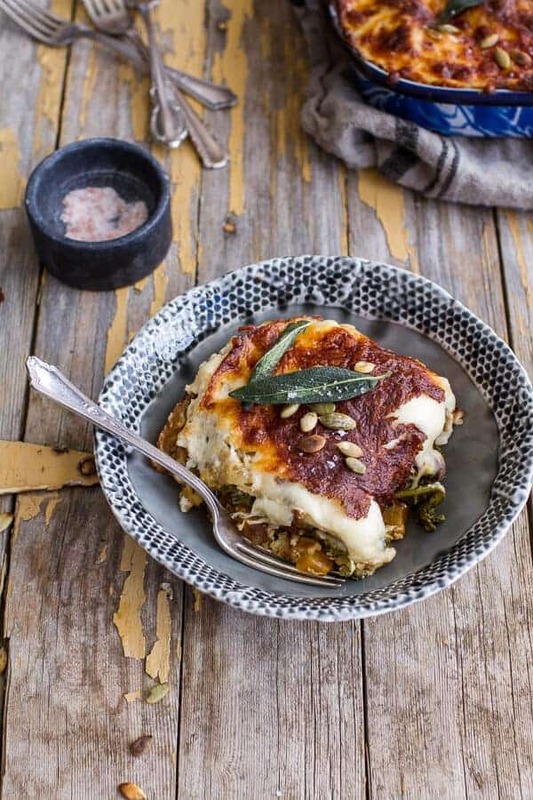 You are such a creative cook using ingredients you love and mixing them with home made pasta and covering it with bechamel sauce. Your family is so lucky having you around. Haha! Thank you so much! Hope you had a great Monday! I haven’t had many pregnancy cravings but I think I’m having one right now. I am so craving this lasagna!!!! Thanks so much! Hope you had a great start to your week! Such a healthy and savory meal! 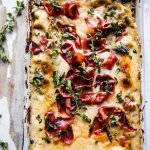 Definitely a new take on the classic lasagna that I will have to try soon! 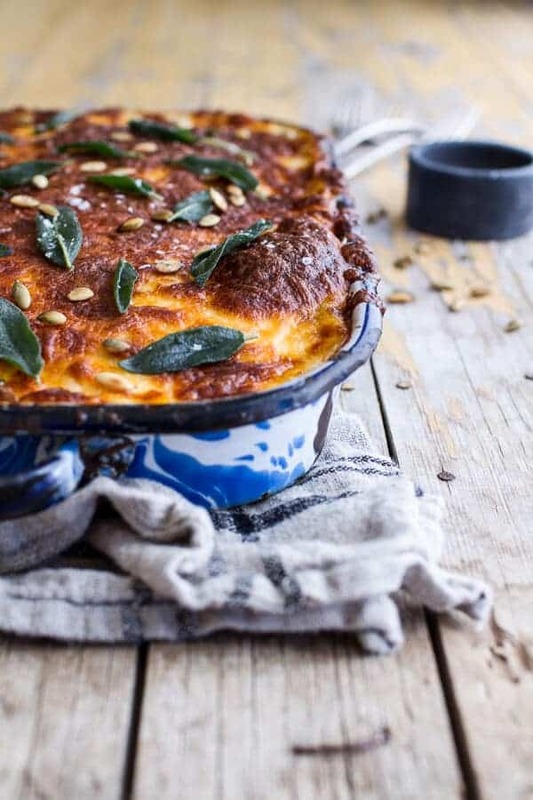 This looks like the best vegetarian lasagna, love all that cheesy goodness, of course! 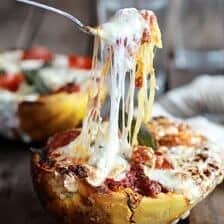 OMG what a damn cozy lasagna! THE BEST! I am not sure how I make them look pretty, but it does take a little extra effort I have to say. And trust me, the meals I make that are not going on the blog, look horrible. Haha! Thanks again, Hannah! You know… I so rarely make lasagna. Mainly, it’s because I always associate it with my mom and home and I feel like it’s best to leave any memories associated with lasagna with her. Maybe that’s weird. I don’t know. Anyway, I’m totally a lasagna lover… I love the crispy bits you get in the corners. Yours looks absolutely lovely… and different… and, well, perfect. I so know what you mean. Same thing with me and the Thanksgiving turkey. It has always been my moms things and I just can’t take it over. It’s all her! I just made this last night. Sooo good!!! Definitely becoming a favorite, Thank you for sharing!!!! This looks so delicious and warm and comforting. Love it! Yummy, I wish I had a plateful in front of me. Hey Jen, assembling this ahead of time works great. I do it all the time. You may need to bake it just a tad longer though. Hope you love this! I made this following the recipe exactly. Very tasty and will certainly make this again. I think next time I will make extra bechamel and use a little less bleu cheese. Thanks for posting this. We enjoyed this one as a great new way to cook with squash and kale. Made this a second time for Thanksgiving. The vegetarians enjoyed having this substantial option. This time was better than the first since I was able to locate Fontina cheese. Also increased the milk to 3 cups for extra sauce. Thank you again for posting. I am such a fan of yours. I saw this recipe and knew it would be delicious. But while I was shopping for ingredients, I thought, why not thinly slice the squash and layer that as noodles. I am avoiding wheat and that seemed like a good option. (I realize there was wheat in the sauce, but I have an idea for next time…) So, I used the ingredients listed, using cream cheese rather than bleu for my kids’ sake ;-( . I thinly sliced the squash using my mandolin and roasted it while I prepped the sauce and kale. Then I layered the squash and kale mixture lasagna-style. It didn’t need to bake quite so long and I didn’t cover it. t was SO good. this recipe is a keeper. Keep the good stuff coming! Delicious! Can’t wait to try this. Where did you get your gorgeous cookware? I have this in the oven right now! 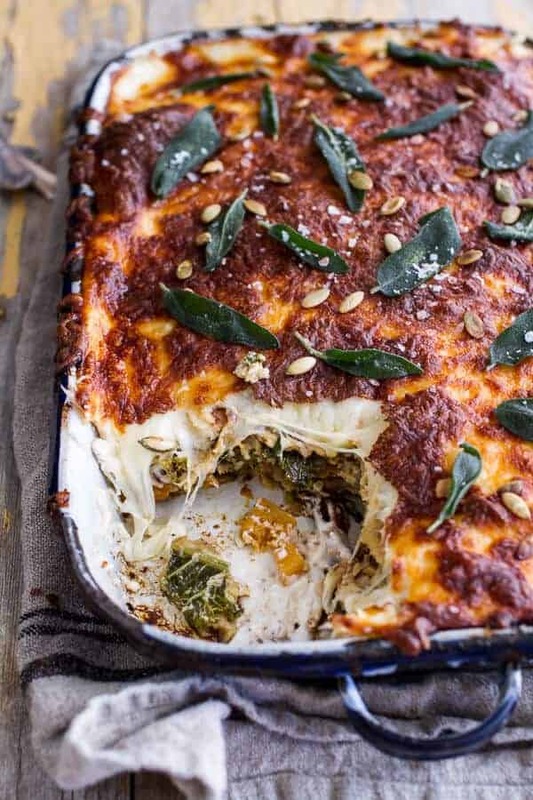 Just curious, it seems from the pictures that you only did one layer of the squash/kale and the béchamel sauce? I did a few and didn’t have enough sauce to put on top of the top layer of noodles. I’m wondering if the way you assembled it is a better way to go? Looking forward to your feedback so I can try making again! Thanks so much! I did three, but topped my last layer with just cheese as I did not have enough sauce either. Hope you love this! 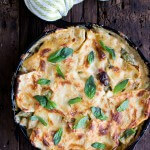 I have this in the oven right now and am sure it will taste super yummy. 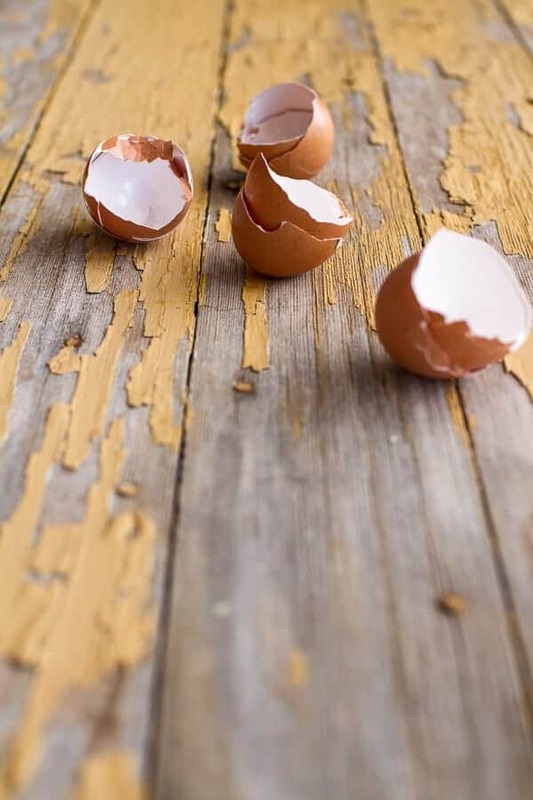 I just have to ask…why are there pictures of eggs (cracked and in the bowl)? I don’t see anything about them on the ingredients or instructions….made me think I was missing something. Would love to know if I was! Thanks! Hey Stacey!! SO SORRY! Yes, there are eggs in this, but I am sure it is fine without them. It just makes the sauce a bit creamier. Hope you still enjoyed it! Headed to fix the recipe now! Making this as my first fall dish on this cool Sunday football day. With the eggs I should add four with the flour I did not see an edit then add over heat with the rest of the sauce? Or just whisk it in like the milk? I love a good creamy sauce! Ok so, I got confused myself, BUT the eggs on the photos where used for my homemade pasta do. I did not use any eggs in my sauce. SO sorry to be so confusing! Let me know if you have any other questions. Hope you love this! Hope you love the lasagna! Hello! Kitchen rookie question: my skillet isn’t large enough for 8 cups of butternut so I was wondering if it would work to roast the squash on a large rimmed baking sheet, then add the garlic and kale for the last 5 or 10 minutes. I’m guessing the oven should be around 400 degrees to carmelize the squash. HELP! THANK YOU! This lasagna looks amazing! 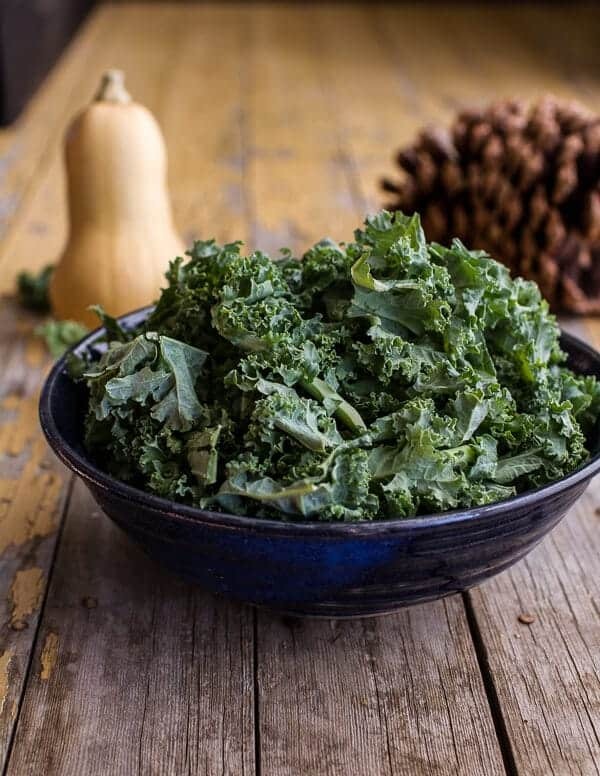 I am in love with butternut squash and the combination with kale sounds intriguing. 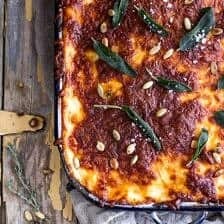 I have used butternut squash puree in a meatless lasagna (http://doubletherecipe.com/2016/01/18/butternut-squash-spinach-lasagna/). Thanks again for a great post! Thanks Valerie! Have a great weekend! Hi! 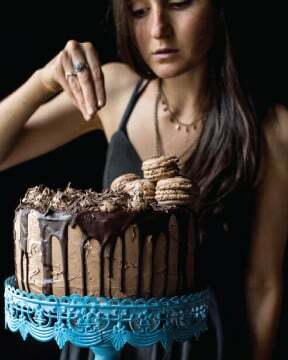 Looking forward to making this for my mother-in-law’s birthday, but want to freeze it in advance. Do you know how I should cook it from the frozen? Also, I’m planning to use store-bought lasagna noodles. Do I need to cook the noodles first? Hey Jen! If using store bought noodles, boil them first. If they are no-boil, then there is no need to boil them. I would freeze this, then thaw overnight in the fridge and then bake as directed. Please let me know if you have any questions at all. Hope you love this! Question! This looks delightful. I have experience with browning butter from a certain ridiculously amazing chocolate chip cookie recipe I make at Christmas. Do you mean – for the sauce here – to fully brown the butter – as in: it gets clear, then it foams over, then it gets clear again and then foams and develops little brown particles floating around and you have to grab it off the heat before it burns? And it then smells nutty and has, thanks to the particles, an amber hue? Or do you just mean keep the butter melting until it starts to clarify/separate? 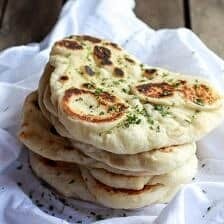 (http://www.abeautifulplate.com/clarified-butter-ghee-and-brown-butter/) … thanks! Hi! I mean to fully brown the butter like you do for your cookies (which sound awesome!). let me know if you have questions. Hope you love this! 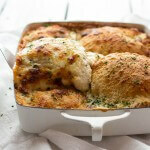 This looks delicious – in my oven baking right now and I hope it turns out just as well! I was super confused by the squash instructions so I wanted to pass that feedback along. Right now it says 1 cups of squash cubed (8) which sounded like just 8 cubes!! I figured that wasn’t quite right so went with about 3 but the comments sound like it should be 8. Thanks for the dinner inspiration ! Hey Cassie! SO sorry for the trouble. We just switched our recipes to a new system and some of the recipes did not transfer right. Fixing now. SO SORRY! Yes, so sorry about that! Hope you loved it Cassie, thanks so much! 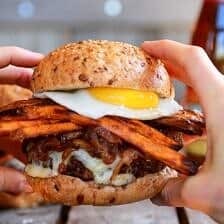 Hi, this looks so delicious! 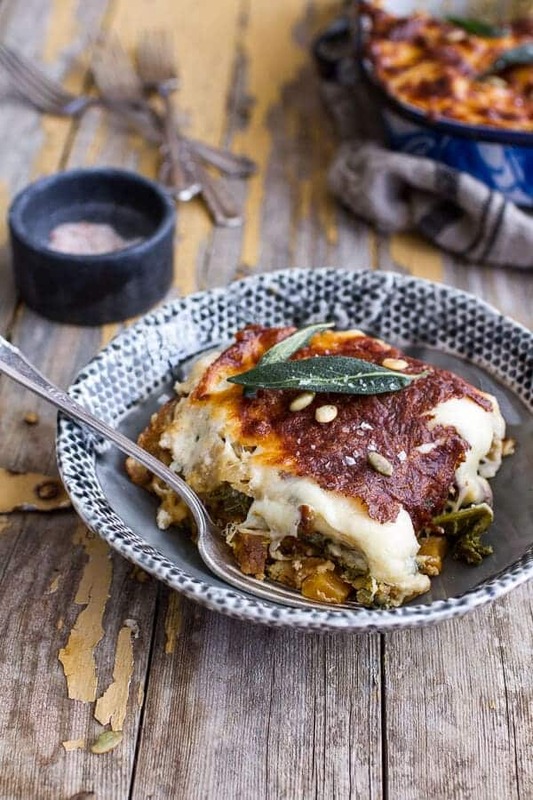 What kind of fontina would you recommend for this lasagna? The kind I see is usually semi-soft, but it seems like that would be difficult to spread. Did you use a hard fontina?